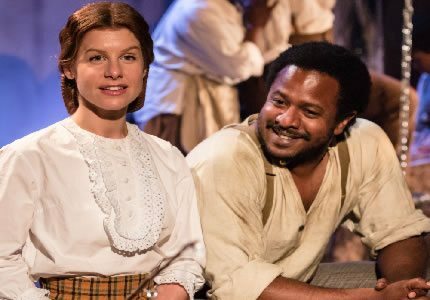 Set in 1846 in the American South, Dessa Rose is a moving tale of race and freedom. The story follows two young women, Dessa and Ruth, on their journey to love and acceptance. With elements of blues, folk, hymns and gospel, Dessa Rose perfectly blends history and fiction. The storytelling for which Ahrens and Flaherty are most famous is masterfully exhibited throughout. 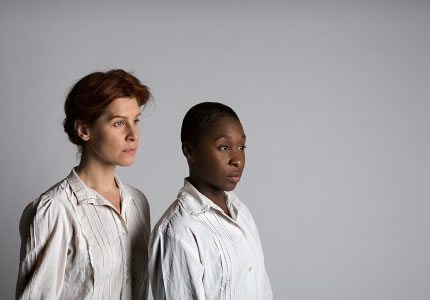 Passionate and innocent Dessa Rose is a young slave faced with a barrage of hardships because of the colour of her skin. While Ruth, a young white mother, faces difficulties because of her gender. 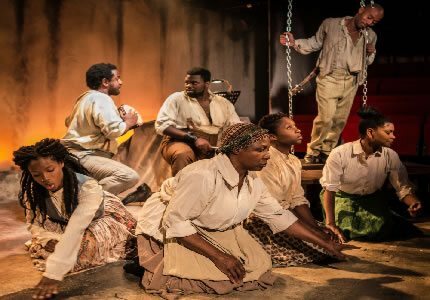 Starring Cynthia Erivo as Dessa Rose and Cassidy Janson as Ruth, the cast also includes Sharon Benson, Edward Baruwa, Cameron Leigh, Jon Robyns, Alexander Evans, Fela Lufadeju, Gabriel Mokake, Abiona Omonua and Miquel Brown. Dessa Rose contains violence and sexual aggression and therefore is not suitable for children.